You are here: Home / My Authentic Italian Recipes / TARALLI RECIPE – Traditional Italian bread snacks for aperitifs and parties! 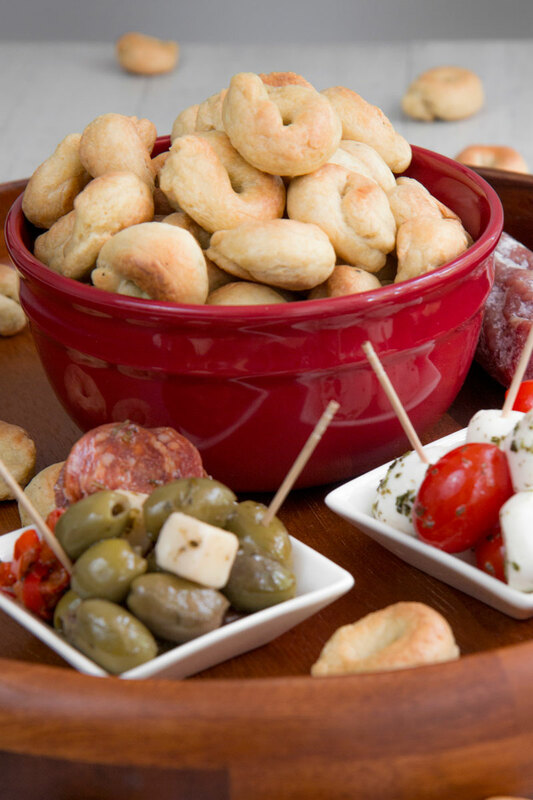 TARALLI RECIPE – Traditional Italian bread snacks for aperitifs and parties! 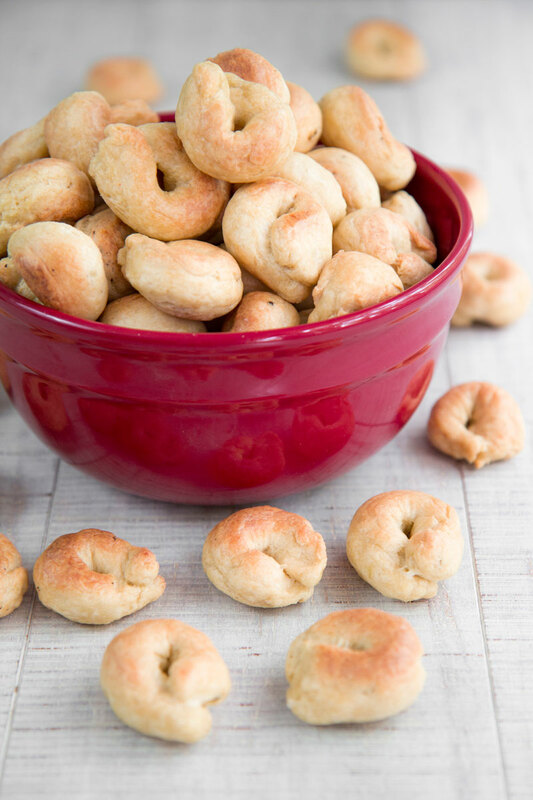 Taralli recipe is very popular in Italy: a perfect snack along with wine or beers! They are a healthy substitution of fries and pair perfectly with cured meats, cheese, and pickled vegetables. 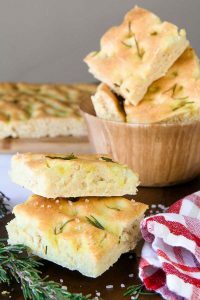 If you desire to organize a party Italian-style, don’t miss this recipe! 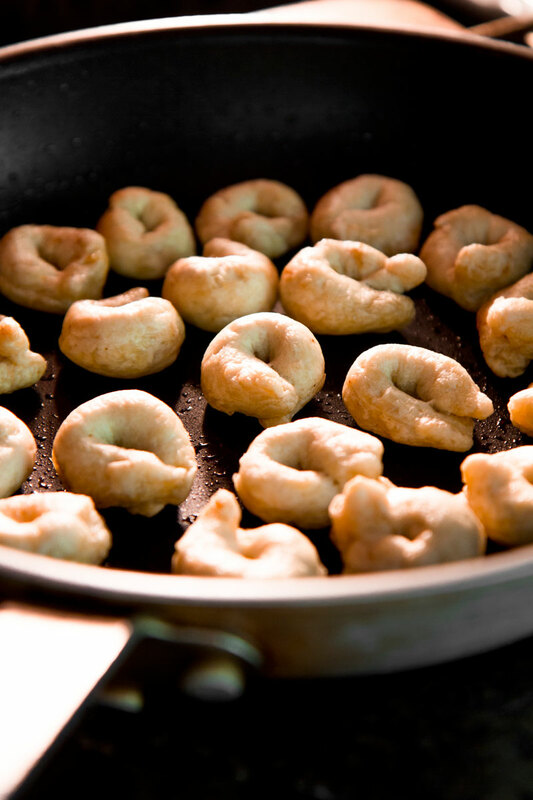 Taralli (singular Tarallo) are a snack traditional of the Southern- Italian cuisines like Puglia, Calabria, Basilicata, Molise, Sicilia, and Lazio. 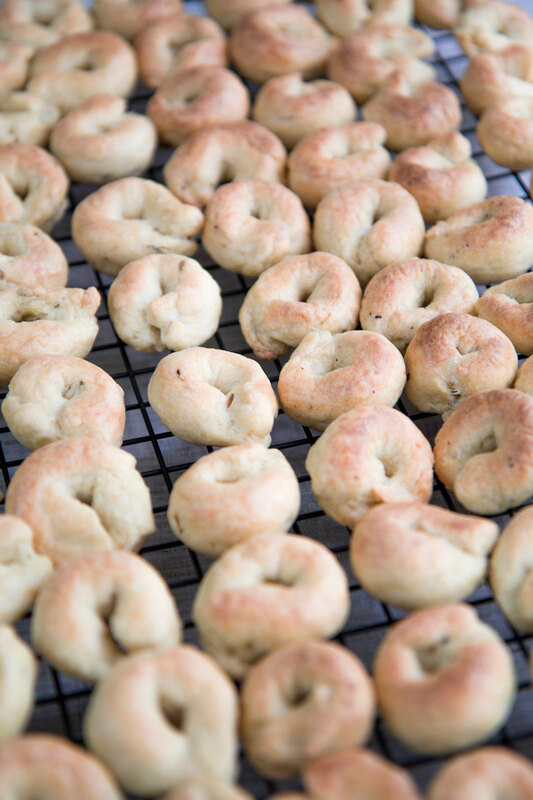 From region to region the Taralli recipe has some variations, but the most popular version is from Puglia. 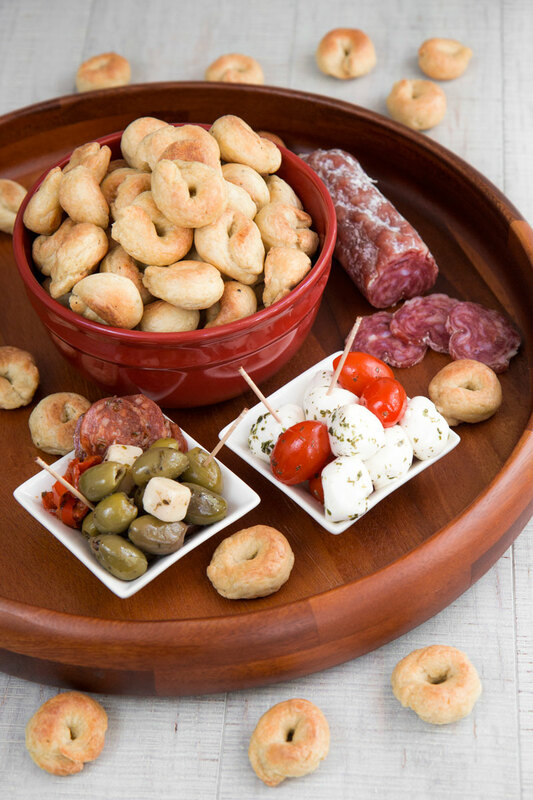 Currently, Taralli are very popular into all the Italian tables and are a perfect snack for aperitifs along with cheese, olives and cured meats. The most traditional spices use to flavor Taralli are fennel seeds, or black pepper, or chili powder, but your fantasy is the limit: try them also with turmeric, of rosemary, or dried mint: delicious! 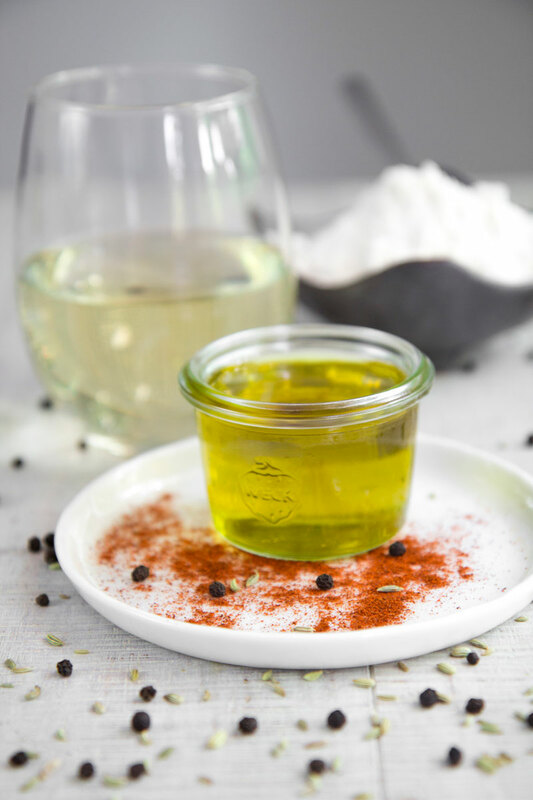 First of all, blend the white wine along with, the olive, your preferred spice, the and salt into a bowl. Now, add the flour a little at a time, working the mixture at first with a spatula, then with the hands. Remember that the amount of flour depends on room temperature and humidity. The dough is quite hard to handle so take your time. Knead the dough into the bowl until all the flour is absorbed. After that, move the mixture on a board and knead at least 10-15 minutes until shiny and consistent. Eventually, wrap the dough in plastic and store into the higher part of the fridge. Now, pick up a little quantity of dough, about 1/2 oz (14 g). Knead the dough with your hands to warm it, then stir and roll it to shape into a rounded stick. Finally, join the ends of the stick, making a ring. Pinch the connection firmly, or the tie will get loose into the boiling water. Now, poach the rings in boiling water 10 at a time, until they start to rise: about 1 or 2 minutes. Rinse the Taralli with a slotted spoon and let them dry over a wire pan lined with a kitchen towel. Preheat the oven to 430° F (220° C). Now, grease a non-stick pan ovenproof with a slight quantity of olive oil. Alternatively, use a tray lined with parchment paper. Arrange the bread rings over the pan or the tray, ensuring the bread rings don’t touch themselves. Bake 25 minutes, then broil a couple of minutes until golden brown: you want the crust crispy. Finally, let Taralli rest over the wire pan until they reach the room temperature. Taralli will remain tasty and fragrant for a week or so, stored into a paper bag in a dry place. Now, pick up a little quantity of dough, about ½ oz (14 g). Knead the dough with your hands to warm it, then stir and roll it to shape into a rounded stick. Finally, join the ends of the stick, making a ring. Pinch the connection firmly, or the tie will get loose into the boiling water. « CREPES SUZETTE RECIPE & HISTORY – all you need to know! Thanks for your comment Mehli! I’m happy you liked Taralli and found them easy to make. 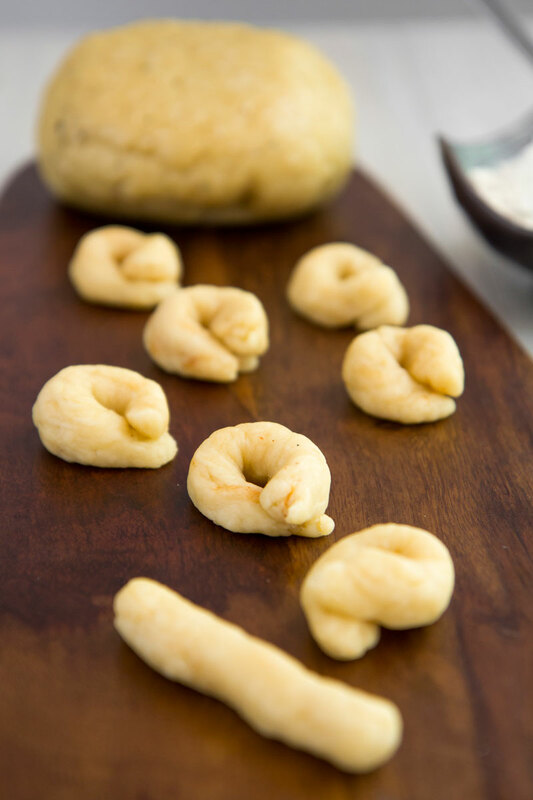 Thanks for the amazing recipe!I love taralli and wanted to learn how to make them! Let me know if you’ll like them!